To coincide with the exhibition “The Democratic Dish: Mintons Secessionist Ware” (19 Sept – 26 Oct), Chelsea Space is hosting an afternoon of talks and a panel discussion. Speakers include: Simon Wilson, art historian and former Curator of Interpretation at Tate; Grant Gibson, journalist and former editor of ‘Crafts’ (2007-2018), the world's leading magazine devoted to making; Amy Jayne Hughes, ceramic artist and specialist ceramics technician at Chelsea College of Arts; and Cherie Silver, Programme Curator at Chelsea Space, and curator of the current exhibition. 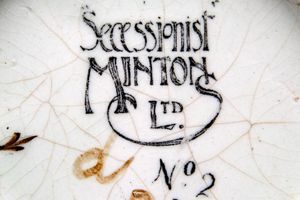 See www.chelseaspace.org for information about the exhibition 'The Democratic Dish: Mintons Secessionist Ware'.